At some point in life, you have probably been introduced to the idea of a carbon footprint. Your carbon footprint is the total amount of carbon dioxide you release day to day by just living. It includes home heating/cooling, transportation, eating habits and more. You may have even been previously asked to calculate your carbon footprint. However, have you even been asked about your carbon handprint? Handprints are a new, more positive way to track your impact on the environment. Your handprint is all of the constructive things you do for the environment. The idea is, if your handprint is bigger than your footprint, you have net positive energy. The concept of handprints is a vision of Gregory Norris, an industrial ecologist who wants individuals around the world to track and share their sustainable practices. There are three ways to grow your handprint; shrink your own carbon footprint, help others reduce their footprint and/or take restorative action. Tracking your handprint is useful not only for individuals, but also for companies. It gives businesses an opportunity to show how they are becoming more eco-friendly. Large industries, such as air and automotive industries, are accountable for five to ten percent of the global carbon footprint. These industries take a variety of actions to reduce their carbon footprint and now a way exisits for them to account for their restorative actions, such as planting trees to reduce worldwide carbon. What will you do today to not only shrink your carbon footprint but also grow your handprint? 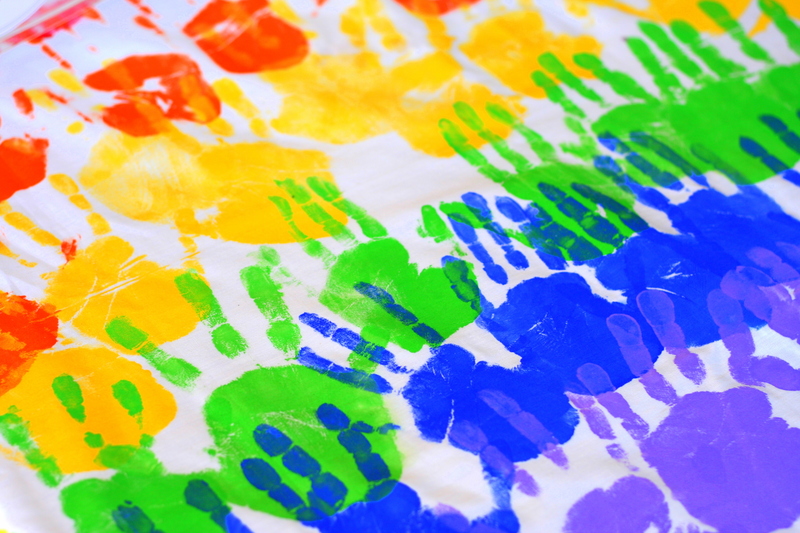 Celebrate and share your sustainability achievements and give yourself a big handprint!